LeBron delivers! The Cavaliers became the first team to ever overcome a 3-1 deficit to win an NBA Championship! The 2016 title also marks the city’s first major sports championship since 1964. Congratulations Cleveland! For hot-market projects I have to create final artwork for all other teams who were still alive upon my deadline. The tabs below shows the other teams approved files. Click images to enlarge. The Warriors had a historic 73 win season. And if they were to win it all, a “Back to Back” championship would of capped off the greatest season in NBA history. We wanted to create a collectible that communicated such an event. I created a Back to Back logo and switched out the banner callout to commemorate the 73 win season. I had other options to highlight these milestones that you can view below. For the Raptors it was their first appearance at the Eastern Conference Finals, let alone reaching the Championship Series. 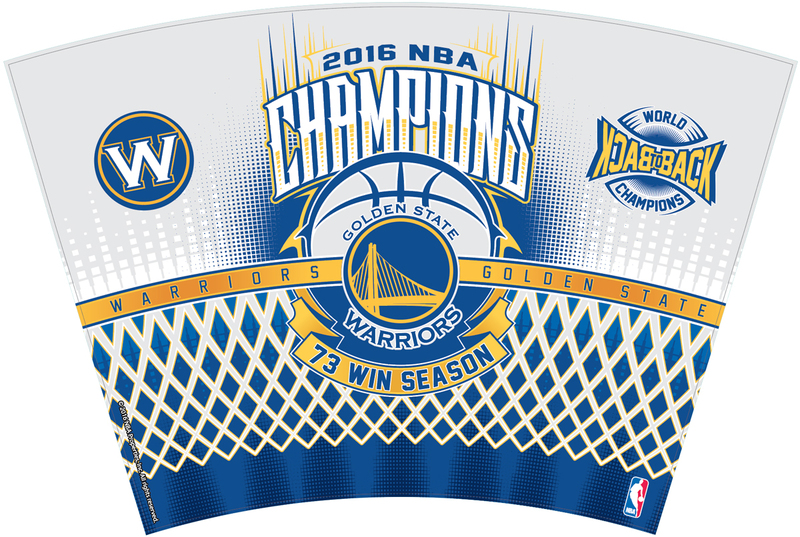 We held off on designing a “First Time NBA Championship” logo. 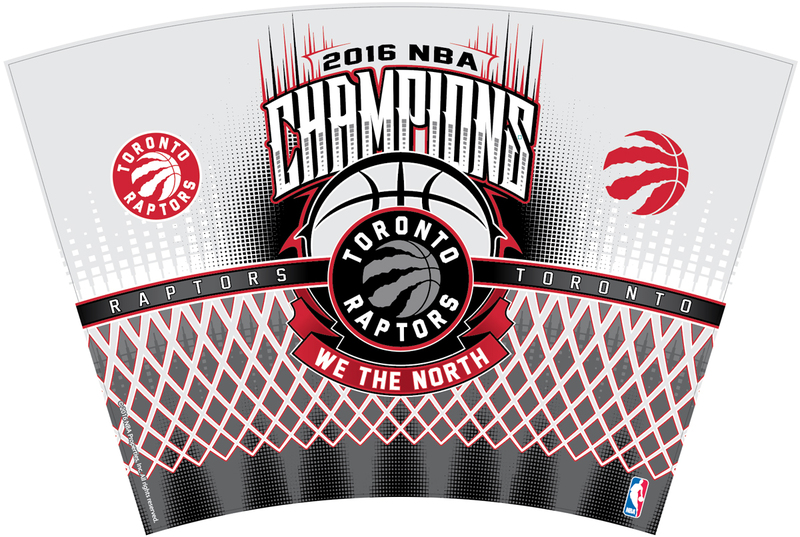 The only change was adding “We The North” copy to the banner. This would of been OKC’s first championship as well. The Thunder made it to The Finals in 2012 but lost to the Miami Heat (4-1). LeBron again. 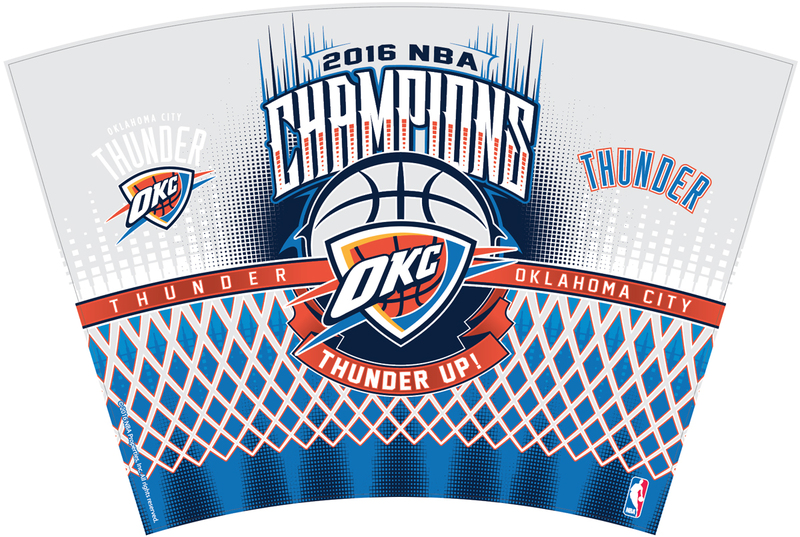 Here, the banner read, “Thunder Up!”. My idea was to have a rim and net feel that plays off the cylindrical shape of the tumbler with a basketball going through. We used Golden State as the team to comp up as they were the favorite going into the playoffs. Every team had unique callouts that I had to keep in mind in building the layouts. From changing the banner art to creating team specific logos all of this was part of the project.